Connectivity plays a vital component in our nation’s economy. Its level of development is a measure of a country’s socioeconomic status, whether it is developed, developing, or underdeveloped. One basic enabler for connectivity is telecommunications. In the Philippines, people and businesses consume telecommunications like a resource. It plays an integral part in the country’s economic growth—serving different purposes in our daily lives and facilitating the robust growth of the BPO industry, as well as enhancing the economy’s overall efficiency to become more competitive. With the recent developments in technology, people are demanding a more efficient and higher speed connection. Consequently, investing in ICT infrastructure is one of the key solutions to address this. However, the burden of government regulation, unnecessary and redundant permits, length of procedures in starting a business, performance of legal institutions, and unstandardized fees hampers development of the country’s ICT. 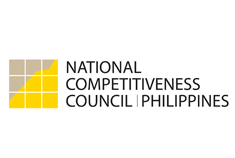 In line with this, to engage the Local Government Units in the promotion and development of ICT in communities, the DICT, DILG, NCC, and NTC has collaborated in creating the Connectivity Competitiveness Index to improve the state of telecommunications in the Philippines. The index gives a picture of how the cities and municipalities are faring in terms of utilizing ICT in terms of ease and cost of doing business and the delivery of public services. Increased network readiness through better ICT is expected to attract new investments and create new employment opportunities. These initiatives, with a particular emphasis on helping the poor and marginalized communities, can help bridge the digital divide providing equitable access to technologies. 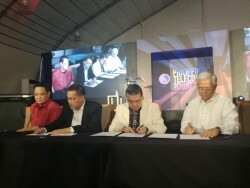 The signing of the Memorandum of Agreement between and among DICT, DILG, NCC, and NTC to officially launch and institutionalize the Connectivity Competitiveness Index will be on March 10 during the Telecommunications Summit in PICC.